VGC has been voted winner of the Top Choice Language School 2019 in Vancouver! Home UncategorisedVGC has been voted winner of the Top Choice Language School 2019 in Vancouver! 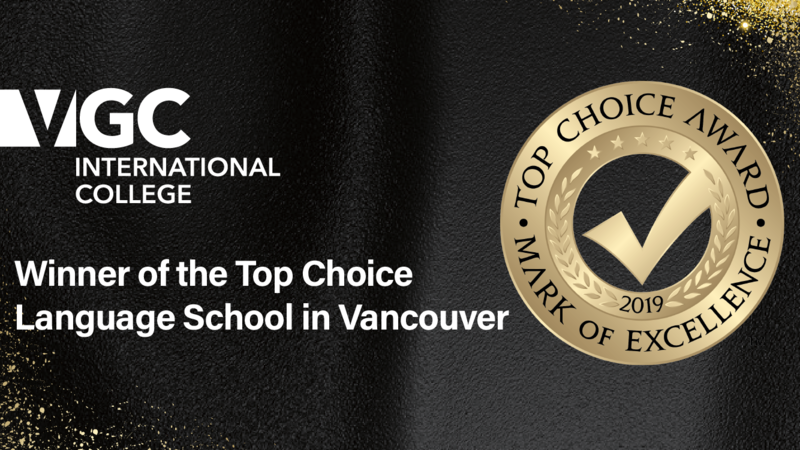 We are pleased to announce that VGC International College has been voted winner of the Top Choice Language School 2019 in Vancouver! We would like to thank all of you who voted for us. Winning this award would not have been possible without your support! It is an extreme honour to win this Top Choice Award as this is one of the greatest endorsements a business can receive within North America & Europe. VGC takes pride in providing its students with excellent services, an amazing intercultural experience, and the best academic learning environment.